– The opening video began with a look back at the various moments of the company now formerly known as Total Nonstop Action Wrestling (TNA). As you’d imagine, there were shots of AJ Styles, Samoa Joe and Jeff Jarrett. Given Styles and Joe made their names here, but have gone on to bigger places. Cough, cough. Anyways, more highlights included Monty Brown’s infamous cage tightroped huracanrana at Turning Point 2004, random shots of tope con hilos to push the “no limits” X-Division and soundbites from Don West because it just doesn’t count without him. They also showed Kurt Angle’s headbutt to Samoa Joe in their hot feud from 2006-2007. Ironically, it’s almost 15 years to the month when TNA emerged on the scene. The basis of the video stated that change was inevitable and we’d have to live with it. There was a flashy new opening montage/theme that was eh. We guess this will be more like Anthem’s “Impact” than anything we’ve previously seen. – The Last Knockout Standing match for the TNA Knockouts Championship between Champion Rosemary and Jade with Madison Rayne on commentary sparked things off as the two traded punches on the ramp. They set it up with last week’s decent segment. Jade performed a suicide dive and a few German suplexes. She was being walloped with a garbage can and asked for more. Would we get a Van Terminator spot from Rosemary? Yes. Jade powerbombed Rosemary onto the trash can. Rayne actually improved on commentary here, she added a lot to emphasize Jade as a thirsty challenger who has withstood other harsh matches. Jade jumped into the mist from the top rope and was hit with the Red Wedding. She got up at 8. RW on the floor now. She got up at 9, but way to miss it, camera. Sigh. Jade spit water at the Champ and connected with a powerbomb onto the steps. Ouch. Rosemary got up at 9. Jade attempted another powerbomb, but got spit with mist again. A third RW on the ramp. That’ll probably do it. It’s cool to see a female break out the F5, though it’s not quite as effective as Brock Lesnar’s. That was it. – The opening video recapped last week’s show, particularly the part where TNA World Tag Team Champions, The Broken Hardys, transported themselves into Tijuana, Mexico, in search of their Tag Team Champions. They called it an “expedition of gold.” We’ll go along with it and anything Broken-related. We were reminded of how they hobnobbed with the Spanish elite and led everyone in a chant of “Delete!” and oh hey, that rhymed. Go us. They were hyped (with big white capital letters and dramatic music) to face Psicosis/Super Crazy later on. That just sounds like a dream match at this point. – February 2017 has been a disappointing month for fans of The TNA World Tag Team Champions, The Broken Hardys, but alas, they’ve uncovered something new and crazy for them to explore. We started the show with a peak in the parking lot as the Champs, complete with King Maxel/Queen Rebecca, mainly focused on Maxel’s preferences towards unhealthy carbohydrates. Entertaining as always, there was a hook that “everything would be revealed tonight.” Thank god for that. – Welcome to the one night in TNA Wrestling where various employees can challenge (or “call out”) others for intense quarrels or whatnot. “Open Fight Night” still remains a cheesy take on “Open Mic Night” and whenever it’s uttered, it’s hard to not automatically think of 2012. Hulk Hogan, Bully Ray and Brooke Hogan much? Anyways, they combined OFN with the former “Feast Or Fired” in that the briefcase holders had the right to challenge for any belt of their choosing. Or most of them. We’ll get to that shortly. To start things off, we got some kooky close-ups of the case holders – Jeff Hardy, Trevor Lee, Eli Drake/Tyrus and The DCC. Talk about close-ups. This just looked plain bad. – The TNA World Tag Team Championship Three-Way match between Champions The Broken Hardys, Crazzy Steve/Abyss and Bram/Kingston was about as formulaic as you can get in terms of putting a multi-team match together. With the Hardys on this “mission” to become the best team in space/time, it was hard to believe that they’d ever lose this, albeit it was a good attempt to establish other threats in the division. DCC will always be cheating pushovers and Decay are just crazy mofos. Not much of a story to tell, but they’re all here and want to wrestle and it’s Genesis (or Genesis-themed, they’d have you believe) so why not? There was also a good amount of hype towards the next week’s “Open Fight Night” episode, though with little structure introduced besides those goofy briefcases and the idea that anybody can be called out at any time. Isn’t that every wrestling show? Matt Hardy’s “pree-muh-nee-shun” that we’d see them “start a tag team revolution” was intriguing, but alas, it only opened the door for James Storm to drop a reference about that time he led a group of disgruntled midcarders in 2015. Not that 2017 is any different. Shaking our heads. Decay’s only vocal trophy was that they “eradicated Beer Money from TNA.” True as that could’ve been, that wasn’t much of a line. DCC held a briefcase, though we don’t remember what color or that it’ll actually matter. Same for “Nefarious Brother Nero.” On with the match, we suppose. With the silly tag-in scenario for a multi-man underway, the crowd was obviously into the Champs the most. DCC broke rules when they could and Decay was just crazy mofos again. That’s their thing. What don’t you get, child? Matt did break out this cool bulldog/clothesline combo on Kingston (not Kofi)/Steve. The finish was unfortunate for the decayed ones as Steve’s green mist went into Kingston and with not-Kofi out of the equation, Steve took a crazy Twist Of Fate from Matt, while Nero took care of everyone else. Don’t you love that? 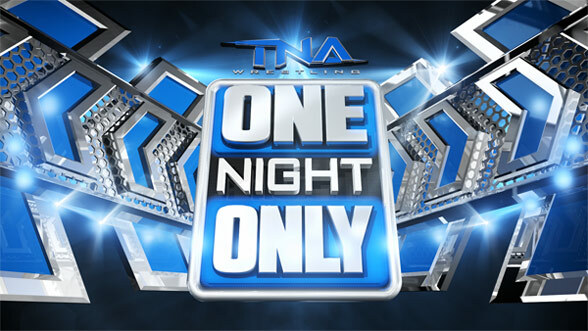 Genrally, Total Nonstop Action Wrestling’s “One Night Only” Pay-Per-View specials are reminiscent of themed filler with a few marquee matchups, but ultimately nothing special. Last year, we made an exception to cover a “Live!” edition of the show which featured The Miracle/Maria’s debut and Beer Money’s return. A year later, Beer Money’s gone, but Miracle/Maria remain. 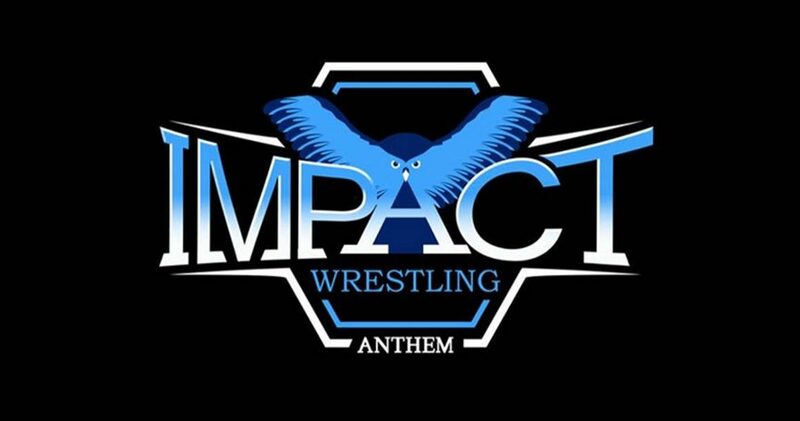 They half-heartedly pushed the show on the previous night’s Impact Wrestling, so with this now an apparent tradition and with the company under new ownership, we figured why not see what happens? The thing with TNA so far in 2017 was that we had fears of major changes, but two shows in, it’s apparent they’ve retained a lot of 2016’s flavor, which was fine with us because that was probably the company’s best creative year. – The opening video highlighted TNA World Champion Eddie Edwards, also known as “Mr. Anything Is Possible” (yes, they’re making that a thing) and his run thus far. He fulfilled his dream and “Never Said Die.” They ran through the controversial finish where he defeated Ethan Carter III in a defense and then the undecided finish at Total Nonstop Deletion when he/Lashley literally battled themselves into Acocalypto and through a door frame along the way. With the way they set that up, one would only assume a three-way for the Title would be the next and best chapter. Oh yea, it’s 2017 now, so gone is the old logo and now appears the infamous blue owl of Anthem Sports & Entertainment. Look into its eyes. Look at it now. To us, it looks like more of an angry blue mustache.